Note: This is a sweet “old school” session programmed by the master himself Coach Greg Glassman. Prescribed Barbell weight is 95lb. for men with a 53lb. Kettlebell, and women’s Barbell weight is 65lb. with a 35lb. Kettlebell. Hit this triplet hard and compare your time to August 14, 2014. 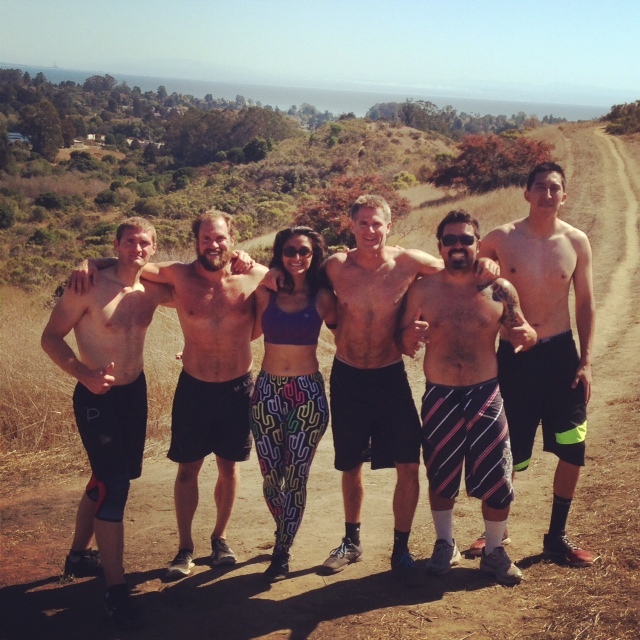 Congratulations to Lee, Aisha, Scott, Roberto, Chris and Alex (not pictured) on tackling “Big Bertha Hill” during the Endurance Workout on Tuesday, which turned out to be one of the hottest days of the summer. “Big Bertha Hill” is a monumental test of physical and mental strength, endurance and willpower, and these Athletes all rose to the occasion.